Article 41 of the Colorado code outlines the requirements for workers’ compensation within the state of Colorado. According to these requirements employers generally must either purchase insurance or have enough money to “self-insure.” This insurance is purchased to protect workers who may be injured at work. In general, workers’ compensation was devised as a way to protect workers who have been injured on the job, while preventing employers from being bankrupted by personal injury claims. Unfortunately, workers compensation insurance companies do not always treat employees fairly, do not always approve legitimate claims and do not always pay benefits due. To make sure you get the benefits you are entitled to, contact an experienced Longmont worker’s compensation attorney for help dealing with insurance companies. 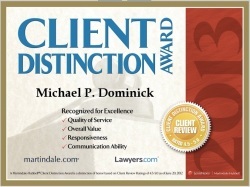 The Dominick Law Firm is a Boulder worker’s compensation firm that assists clients throughout Boulder, Longmont, Louisville, Lafayette, Erie, Broomfield, Greeley, Ft. Collins, Superior, Denver and the entire Colorado Front range. If you live in this area, contact us today at (303) 447-2644 or using our online form for a free consultation to learn how we can help. Dealing with Insurance Companies For Your Boulder Worker’s Comp Claim. According to Colorado law, essentially all employers with at least one full or part time employee must provide workers’ compensation insurance. While there are a few limited exceptions, this means that public and private employers all must buy workers compensation insurance for employees. Further, people who are hired to perform services for pay are presumed to be employees for workers’ compensation purposes. This means that if you are working, you are likely covered by workers’ compensation insurance. This insurance is intended to pay for medical costs and 2/3 of your lost wages whenever you suffer an injury at work. You may also receive additional benefits for disability, disfigurement or specific injuries as outlined in Colorado Code Article 42, sections 8-42-101 through 8-42-125. Workers’ compensation insurance companies are expected to pay benefits to injured workers whenever those workers get hurt on their job or as a direct result of work-related duties. Workers’ compensation is the only recourse for injured employees since employees can’t file a personal injury suit against their employer. However, it provides a comprehensive form of protection since workers are supposed to be paid benefits even when they are at fault for causing their own injury. No negligence on the part of the employer is ever required to be proven for benefits to be paid. Denying legitimate worker’s compensation claims. They may claim the injury wasn’t work-related or otherwise deny a claim that should be covered. They may also claim you didn’t comply with technical requirements such as reporting your injury to your employer within required time limits. Failing to pay for necessary medical care. When there is a legitimate medical need for care related to your work injury, the insurer should pay the bills. If they fail to approve payment, deny care, provide you with a doctor who doesn’t look out for your interests or do not make payments as required, they are in violation of worker’s comp rules. Attempting to provide less-than-full benefits. The Workers’ Compensation laws in Colorado outline what benefits are to be paid for disabilities and for various types of injuries. The laws also provide for payment of lost wages or payment for reduced earning power. Employers (and their insurance companies) often try various tactics to avoid paying as required such as pushing you to return to work before you are ready, or claiming that you should be fired so you will receive less-than full payment for lost wages. These are just a few examples of ways that an insurance company can treat you unfairly in your workers’ compensation case. The best way to respond when is to get help from an experienced Boulder workers’ compensation lawyer who can deal with the insurance company for you. The mere fact of hiring a lawyer lets the insurer know you are serious about protecting your legal rights, and the knowledge your attorney has about Colorado workers’ comp law ensures that you will know what you are entitled to and can fight for it. Injured workers in Boulder, Thornton, Longmont, Louisville, Lafayette, Erie, Broomfield, Lyons, Mead, Loveland, Wheatridge, Greeley, Ft. Collins, Superior, Denver and the entire Colorado Front range can contact The Dominick Law Firm today at (303) 447-2644 or using our online form for a free consultation to learn how our Boulder workers’ comp attorneys can help.